What Makes The 10 Best Short Story Collection 2018? The best short stories can can be intoxicating but a best short story collection can completely engulf your life. You start off with a short story over lunch. It seems harmless enough. You can knock back your ham and salad sandwich on rye while escaping through the fast paced words of a short piece or novella, soaking up the sun in your city’s lush green park. All seems very innocent. Then you become engrossed in the story. You quickly devour the 1000 word piece or scramble through the 10,000 word novella. The author hooks you. Worse still you become addicted. You’re looking for the next short read by your new escape artist. Damn your alarm buzzes and it’s back to work. Your anxiety levels rise. It’s 24 hours to your next lunch break. Then utopia hits. There’s a train ride home tonight. You need another fix but just one short story won’t feed your addiction. You’re on the train for an hour. You don’t want to look like a crazy person on the subway (although you may fir in) so you hit Amazon during your afternoon tea break. Whola! 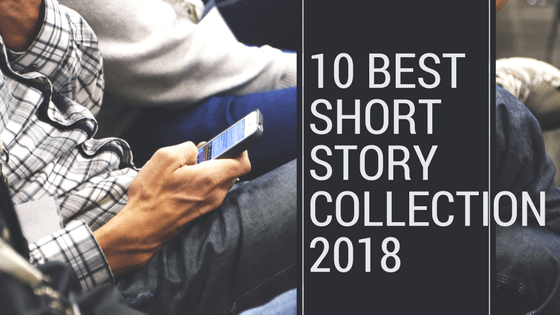 You discover your author friend has a series and his short sties are available in the best short story collection 2018. With one click you hit buy. Your stress levels drop and you spend the rest of the afternoon in anticipation of a great train ride home that night. No Middle Name begins with “Too Much Time,” a brand-new work of short fiction that finds Reacher in a hollowed-out town in Maine, where he witnesses a random bag-snatching but sees much more than a simple crime.“Small Wars” takes readers back to 1989, when Reacher is an MP assigned to solve the brutal murder of a young officer found along an isolated forest road in Georgia—and whose killer may be hiding in plain sight.In“Not a Drill,” Reacher tries to take some downtime, but a pleasant hike in Maine turns into a walk on the wild side—and perhaps something far more sinister.“High Heat” time-hops to 1977, when Reacher is a teenager in sweltering New York City during a sudden blackout that awakens the dark side of the city that never sleeps. Okinawa is the setting of “Second Son,” which reveals the pivotal moment when young Reacher’s sharp “lizard brain” becomes just as important as his muscle. “Everyone Talks,” “The Picture of the Lonely Diner,” “Maybe They Have a Tradition,” and “No Room at the Motel.”No suitcase. No destination. No middle name. 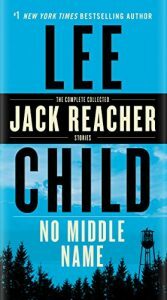 No matter how far Reacher travels off the beaten path, trouble always finds him. Feel bad for trouble. 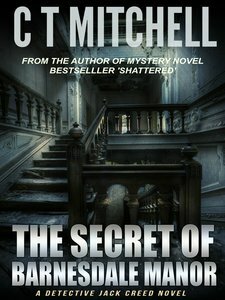 Top Selling Mystery-Get ready for the ultimate Jack Creed adventure: a thrilling box set of seven previously published mystery novellas, together for the first time in one pulse-pounding short story anthologies and collections from C T Mitchell. 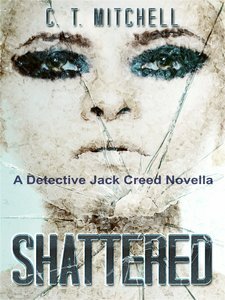 Every single Jack Creed short story written by Australian author C T Mitchell is here. Murder mystery books at their psychologically chilling best. Action & adventure short stories with a big finish. 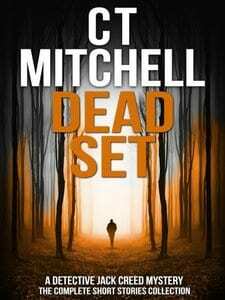 A murder mystery series where you won’t pick the endings.Dead Shot–48 hours to stop a killer or witness Australia’s first mass university shootingDead Ringer –Ten fingers and toes sadistically broken. Why? 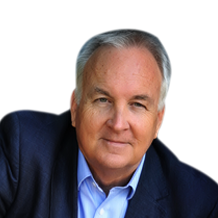 Dead Wrong – Society is broken when trust is broken. A 30 year old secret reveals the shocking truth. Enjoy these top-rated mystery-thriller books FREE as part of your Kindle Unlimited Prime Subscription. You can read the ebooks on your Amazon Kindle Fire, on a computer via Kindle Cloud Reader or on any smartphone or tablet with the free Kindle reading app. The best short story collection continues. 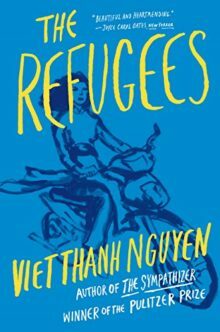 The Refugees is a collection of perfectly formed stories exploring questions of immigration, identity, love, and family.The stories were written over a period of twenty years by Viet Thanh Nguyen, a Vietnamese-American novelist and short-story writer, the winner of the 2016 Pulitzer Prize for Fiction.In the collection we follow a young Vietnamese refugee who suffers profound culture shock when he comes to live with two gay men in San Francisco, a woman whose husband is suffering from dementia and starts to confuse her for a former lover, and a girl living in Ho Chi Minh City whose older half-sister comes back from America having seemingly accomplished everything she never will. Jean Rhys was a Dominican-born British writer who was better known for her longer works, especially her novel Wide Sargasso Sea which she wrote as a prequel to Charlotte Brontë’s Jane Eyre. This new Penguin edition collects all of her stories – stories in which she deals with diverse but almost exclusively sombre topics such as suicide, alcoholism, loneliness, lovelessness and poverty. The stories span several geographical as well as thematic frontiers – wherever her characters go they find little but callous characters in impersonal cities where women are ignored or maligned, expected to “grow another skin or two” and “sharpen” their “claws” if they want to get on. 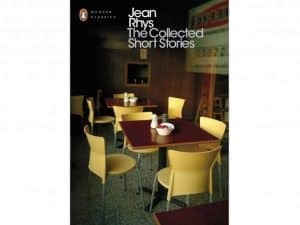 Among the more solemn of recent short story collections, this book fully exhibits Rhys’s extraordinary talent for prose without which these sullen stories would be unreadable. Smoke and Mirrors and Fragile Things—which includes a never-before published American Gods story, “Black Dog,” written exclusively for this volume.In this new anthology, Neil Gaiman pierces the veil of reality to reveal the enigmatic, shadowy world that lies beneath. 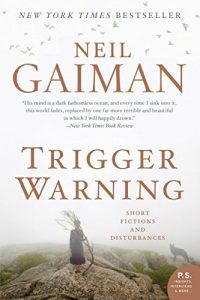 Trigger Warning includes previously published pieces of short fiction—stories, verse, and a very special Doctor Who story that was written for the fiftieth anniversary of the beloved series in 2013—as well “Black Dog,” a new tale that revisits the world of American Gods, exclusive to this collection. Trigger Warning explores the masks we all wear and the people we are beneath them to reveal our vulnerabilities and our truest selves. Here is a rich cornucopia of horror and ghosts stories, science fiction and fairy tales, fabulism and poetry that explore the realm of experience and emotion. In Adventure Story—a thematic companion to The Ocean at the End of the Lane—Gaiman ponders death and the way people take their stories with them when they die. His social media experience A Calendar of Tales are short takes inspired by replies to fan tweets about the months of the year—stories of pirates and the March winds, an igloo made of books, and a Mother’s Day card that portends disturbances in the universe. Trigger Warning is a treasury of delights that engage the mind, stir the heart, and shake the soul from one of the most unique and popular literary artists of our day. Book 1: Mail Order Bride Hannah: Hannah is thrilled to finally be on her way to the Frontier. She and her new husband Bradley have been planning this trip for as long as they have been planning their lives together it seems, and now that they’ve left Independence, Missouri on the wagon train west, it appears that all of their dreams are coming true.Within just a few short weeks of leaving, however, the harsh realities of life on the wagon train strike Hannah hard and she is forced to realize that the adventure she envisioned with Bradley is not at all what it seemed. Will Hannah overcome hardship when her adventure out west takes a tragic turn for the worse? 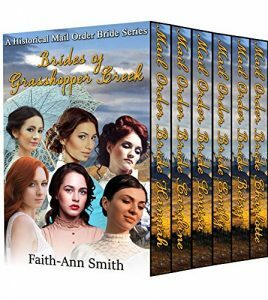 Book 2: Mail Order Bride Caroline: The Lord guides Caroline to an ad in the newspaper from a gold miner in Bannack who is searching for a lovely woman to become his bride. Soon, she joins the wagon train and anxiously makes the journey out west to start her new life.When she arrives, however, she discovers that the man she chose may not be the man she thought he was. She must decide where her loyalties lie—and if she can find it in herself to look beyond Bailey’s past and accept him for the man he is today. Book 3: Mail Order Bride Louisa: After the death of her sweetheart, Louisa feels that there is nothing left in life for her, and wonders what she could possibly do to fill the years that lie ahead. When her sister suggests for Louisa to become a mail order bride for one of the men in the frontier, Louisa is appalled, but with the prospect of her sister and brother leaving on the wagon train with their cousins, Louisa knows that she must make the decision to either be left alone without any relatives and only her painful memories, or to enter marriage with a man she doesn’t know. Book 4: Mail Order Bride Emily: Emily has never quite fit in with the rest of the high society young women who are supposed to be her peers. Raised in privilege—and expected to live up to the part now that she is old enough to marry—Emily cares more about her dream of becoming a teacher than the idea of hosting fancy tea parties and being courted by potential suitors. Feeling that she cannot continue being told what to do any longer, Emily makes the bold decision to go out west so that she can start a school and teach the children of the Frontier. In order to fulfill her dream, however, she must become a mail order bride. Book 5: Mail Order Bride Charlotte: After the death of their parents, Charlotte and her brother Victor only have each other left in the world. Well past marrying age at thirty years old, Charlotte has nearly resigned herself to spending her life taking care of Victor when she suddenly discovers that he has been planning for them to move away from Philadelphia and seek out their futures in the Frontier town of Bannack. Though Victor refuses to admit it, Charlotte knows that having a single sister following him around is limiting to him, so she decides to take responsibility for herself and find a man who is looking for a wife. Book 6: Mail Order Bride Betsy: Betsy always knew that love would find her eventually, and until then, she would be happy watching the young men who lived in her mother’s boarding house court their sweethearts on the front porch. Everything seemed perfect until the War came too close to home, and what was once an elegant and privileged boarding school became a bloody hospital. Left the suffer the aftermath, Betsy decides that her only hope is to get out of her hometown and go as far away as she could. In order to do that, however, she would have to find a husband. Need a heavenly touch to add to your best short story collection? Despite their brevity, short stories are often considerably denser than novels. 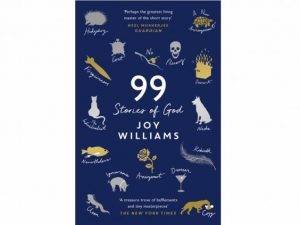 Packed with meaning and often intentionally elusive, it is often difficult to read a collection cover to cover and Joy Williams’s latest collection of stories is exactly this type. Williams is an American writer whose novels and story collections have been nominated for the Pulitzer Prize and several other prestigious awards. The bizarre 99 Stories of God is full of Kafka-style micro-fictions that take minutes, hours or even days to properly process. Williams’ paragraph- or sentence-long “stories” are unusually inscrutable, lacking entirely in narrative and often austere in language. 99 Stories of God is a clever if occasionally frustrating exercise in short fiction. A best short story collection with a Japanese flavour. Haruki Murakami needs little introduction: a literary sensation abroad as much as in his native Japan, he has won multiple international awards for his novels such as Norwegian Wood and 1Q84. In a 2004 interview with The Paris Review, Murakami remarked that one of the best things about writing books “is that you can dream while you are awake”. The dreamlike quality of the stories in Men Without Women is undoubtedly one of its chief attractions. 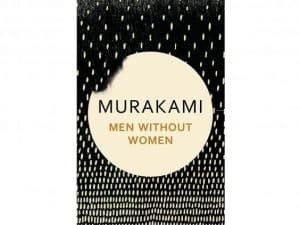 Murakami’s womenless men live in perpetual daydreams, a state of mind often prompted by a loss of some kind. In one story, for example, an ageing plastic surgeon grows obsessed with a younger, idealised woman whose perfection causes him to fade, quite literally, into nothingness. Murakami’s latest is a hypnotising study of male loneliness. Book 1-Who Murdered Mr. Malone? Nothing exciting ever happens in the small town of Belhaven. 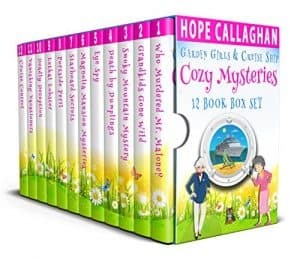 Nothing that is, until a body was found in the woods behind the local elementary school.With the entire town in an uproar, “Garden Girl” Gloria Rutherford makes it her personal mission to find the killer or killers and solve the mystery with some help from her friends.With a little amateur detective work, Gloria is able to uncover enough clues that point right to the murderer. She’s about to discover, however, things aren’t always as clear cut as they would appear. Book 2-Grandkids Gone Wild” Garden Girl” Gloria Rutherford, has her hands full. Her mischievous and energetic grandsons are coming for a weekend visit. To top things off, she discovers someone is living in her barn. But who and why? As this amateur sleuth investigates what’s going on in her own backyard, another murder victim turns up in their sleepy little town. Hot on the trail of a murderer, trying her best to make sure her grandkids don’t end up in the ER and facing a budding romance, Gloria and her small town of Belhaven are once again about to be turned upside down. Book 3-Smoky Mountain Mystery Life is good for “Garden Girl” Gloria Rutherford. Spring has finally sprung, love is in the air, and no dead bodies have turned up in the small town of Belhaven…lately.It seems as if it’s almost too good to be true. Just as Gloria starts to get settled into her familiar routine, she receives a mysterious message from her older sister, Liz.Certain that her sister, the drama queen, is once again bent on turning Gloria’s life upside down for no good reason, she almost chooses to ignore the dire message that she may be in danger. When a key to her sister’s place shows up in her mailbox after Liz mysteriously vanishes, Gloria jumps in with both feet to track her down. Crisscrossing the country with one of the other Garden Girls in tow, the two amateur sleuths find themselves on an adventure of a lifetime. 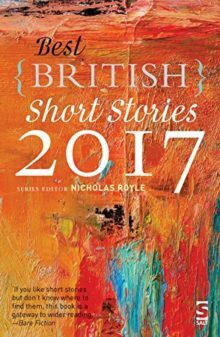 Best British Short Stories invites you to judge a book by its cover – or more accurately, by its title.This new series aims to reprint the best short stories published in the previous calendar year by British writers, whether based in the UK or elsewhere. It includes stories by Daisy Johnson and James Kelman, among others. The editor’s brief is wide ranging, covering anthologies, collections, magazines, newspapers and websites, looking for the best of the bunch to reprint all in one volume. The best short story collection offers a varied mix to cover all tastes and should keep the reader content in 2018 – for at least some part of it. Come back to www.bestshortstorycollection.com for regular updates.